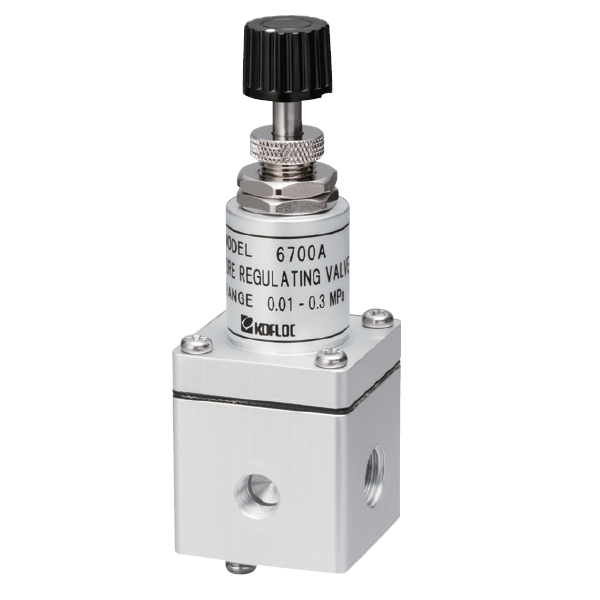 This regulating valve is a larger version of our 6600 regulator. high-accuracy pressure regulation in a large flow range. The compact, lightweight valve has excellent control characteristics in a large flow range, ensuring the repeatability of ±1% when the primary and secondary pressure change. When the secondary pressure is set at 0, it functions also as a stop valve. This non-bleed type valve has passed stringent leak tests, thus eliminating concerns.